Question: In what ways was the fur trade a revolutionary idea? The fur trade has been around for a long time now, dating back to the early modern period. The furs traded were expensive and luxurious, meant only for the wealthiest of the middle class and the nobles of Britain and France. As the colonies in new France began to boom, a new fur was introduced into the market, and became an expensive trend. Beaver furs were expensive and could be fashioned into many different kinds of clothing, making for a big moneymaking opportunity for many hopeful businessmen. This business powered the French in times of need, and allowed for some technological and social advances and changes. When New France was just beginning to grow into a larger colony, early settlers from France began to pick up beaver pelts from the indigenous people of the land, and this was what started the trading. The need for fur in France was the reason that the Hudson’s Bay Company was established. 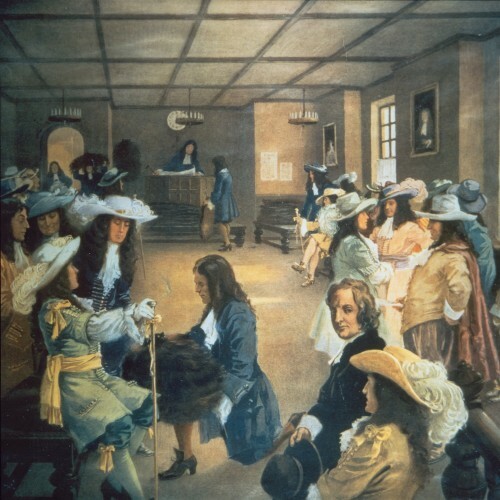 Trading began to develop into this company, founded by Radisson and des Groseilliers in 1670. This company grew, and created a large economic boom in France. Eventually, better sailing technology was created from the money provided by the trade, which allowed more consistent trips back and forth to deliver furs, passengers, and other goods. The way of life in society in France was also changed after beaver furs were introduced. After furs became a regular occurrence in France and the French colonies, pelts became somewhat of a normal currency, and one could trade a “made beaver”, the highest quality beaver pelt, for a multitude of different objects, such as a brass kettle, or 20 iron fishhooks. Some people would also travel to their local meeting area, such as a coffeehouse, to participate in auctions for beaver furs. These two changes caused by fur trades became an everyday part of life for the people of France. Because of the fur trades, a revolution was started. A new nation was on its way to being born, and France’s economy was growing steadily, with many people adopting beaver furs as a method of payment and trade. Sailing techniques and technology were much more advanced than initially, and more consistent journeys back and forth allowed furs to be traded more reliably. When fur trading first began, the main reason that people traded fur, was money, and a want to be rich. Both the first nations and the settlers wanted to trade and make profit. To do this, they made trade deals with each other, and tried to bargain for the product, the locations and sources, and the secrets of the products, such as ways to better refine them. Once this happened, the European fur traders went to find a place to sell the furs to gain the most amount of money possible, which happened to be France, and New France. The buyers from France wanted to appear rich to everyone else, use the furs as money, and be able to wear it as clothing, so they bought the furs for massive prices, or traded their way to get the pelts. The effects of the want for luxury and opulence is that a large economy boost was created from the furs being sold, the technology for sails and transport on water was improved, and everyday people had another essential part of life to attend to. A nation was also created out of the want for expensive and luxurious animal coats, building its economy on mainly animal furs. Many historical actors alive during the time that pelts were being widely used for a number of things saw the furs as a business opportunity, or a chance to stand out and show opulence. The Fist Nations people of what is now Quebec saw new customers as a new chance to spread the word of a better fur, and to make money off of the sales. 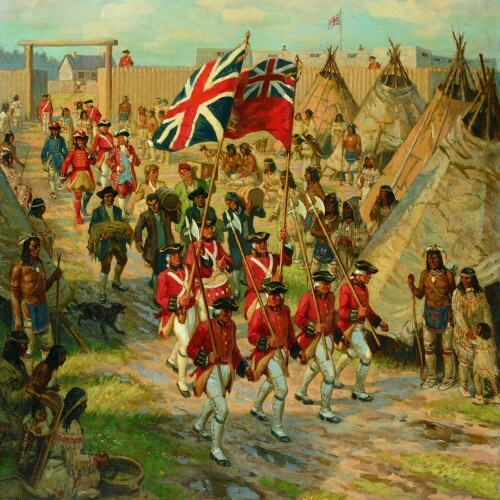 However, when they were given almost nothing in return from the settlers, they became angry that they had been taken advantage of, as they had helped the people of New France find a large moneymaking opportunity. They held a standard that the French would be grateful for their help, and at least repay them, as their communities were built on truth and honor. The settlers also saw it as a business, but with the edition of much more greed and want for money. They lied to the First Nations people, and took as much money to themselves as possible, holding the belief that they could just devalue the integrity of the First Nations people. When the furs reached France, many people who wanted to look rich or noble tried to buy or auction the furs for money, or clothing. Because of widespread use of the fur in clothes, trade, and other things, the demand for fur was high because everyone wanted to either stand out, or blend in with the rest, in order to not look like an outcast. The fur trade in what is now Quebec allowed a new nation to rise on an economy of fur trades, as demand for products were immense. The imported furs and pelts were used to make clothing, but eventually morphed into a new way of trade and currency, changing the way of life for many citizens of France. Auctions and sales of pelts started a new event that people could attend to gain pelts or gather money from selling them. The money generated from these sales allowed sailing technology to improve, in turn causing more reliable imports by boat. The cause for this change was mainly because of human greed, and the want for opulence and power. Because there were so many wants that could not all fit together, the first nation’s ideas of fair trade were shut down by the colonial people, who ended up taking the pelts for themselves to make profit off of from the population in France. The beliefs of the First Nations were the cause of some of what happened, as they lived in a peaceful and trusting society. However, they applied the same logic to the French, who took advantage of their weakness, and exploited them for their resources. Star Uno: I really liked the organization of your DOL. I found everything interesting and have learnt something new. Wish: Although we were allowed to do DOL’s, It would have been nice to see something different than words and pictures with the amount of time we had. Great DOL Dylan! I loved the added pictures, they helped me visualize your inquiry. I also loved how in depth you went with your topic, I can see you took a long time researching. Star #1: Very nice representation of the chain reaction of the Fur Trade! Star #2: Concise writing and was easier to read. Wish : Maybe you can condense your conclusion and answer your question about fur trade being a revolutionary idea.